4.5 38 Be the first to write a review! When you need a convenient light, Super Bright Clip is always nearby and super bright. It is the powerfully bright light that you can take anywhere. 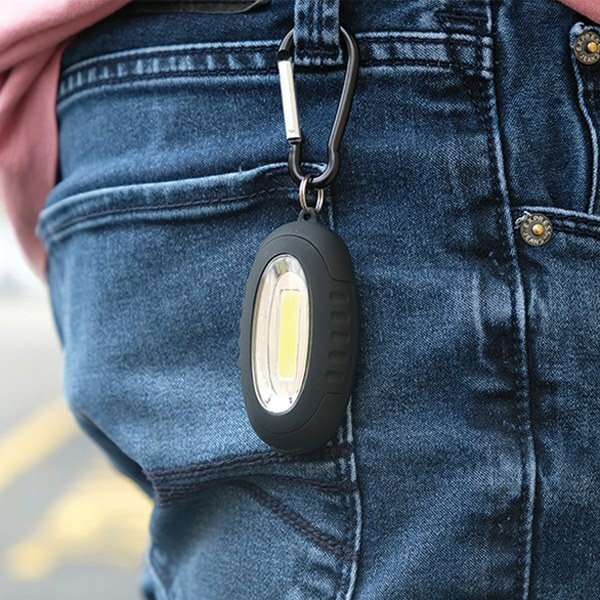 The Super Bright Clip LED keychain flashlight features three light modes - bright, dim, flash, built-in magnet and carabiner attachment so you can clip it anywhere. Great for everyday use, emergencies, work, travel and more. It is easy to carry and ensures you always gave a light handy when you need it.